Every Wahoo Smart Bike Trainer comes with a free 30 day trial of Rouvy to simulate an outdoor ride or race indoors. 3. Enjoy immersive Indoor Cycling Reality!! 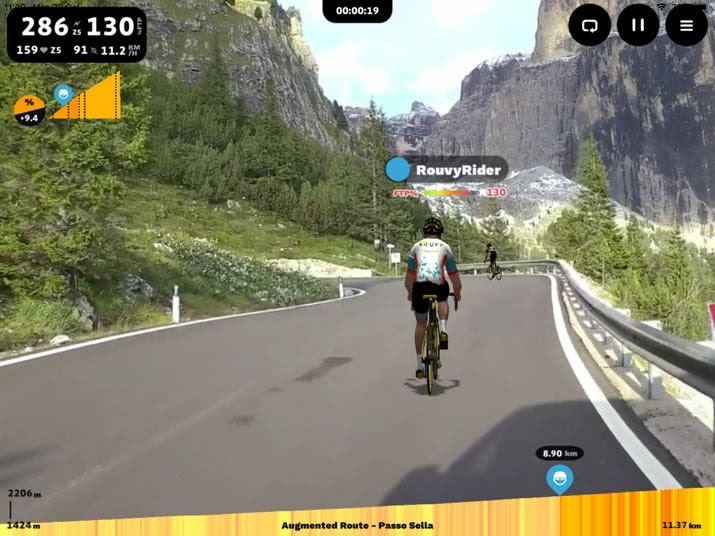 Rouvy virtually brings remote riders together onto any road on the planet by generating and processing animated 3D objects in 2D real videos. 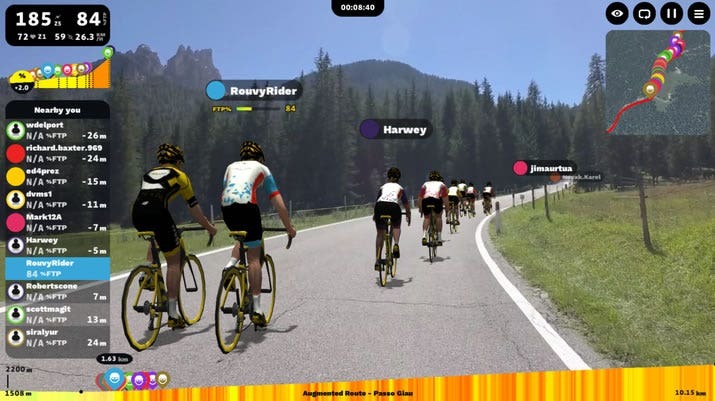 Real-life and GPS-synced route videos are now mixed with augmented overlays for the most realistic training and racing. Simulate an outdoor ride indoors. Bike the planet with over 2,000 geo-synced video routes. Your Wahoo Smart Trainer will automatically adjust its resistance based on the current slope. 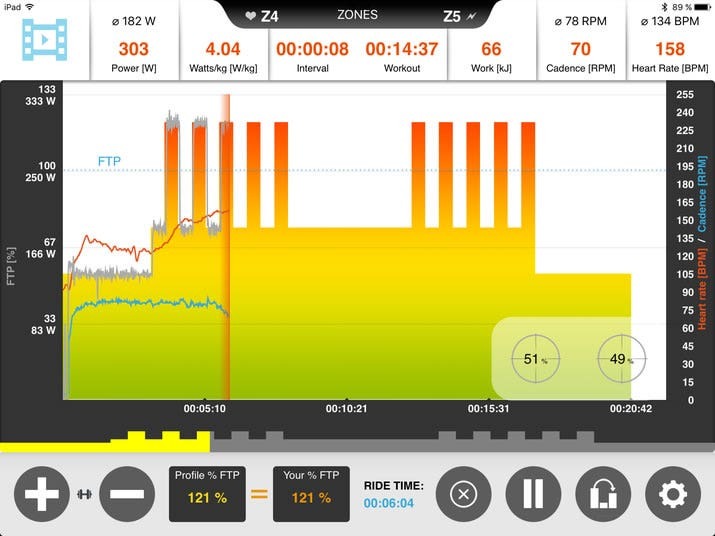 Ride guided videos, TrainingPeaks auto-synced workouts and explore 4,000 workouts created and shared by the community. 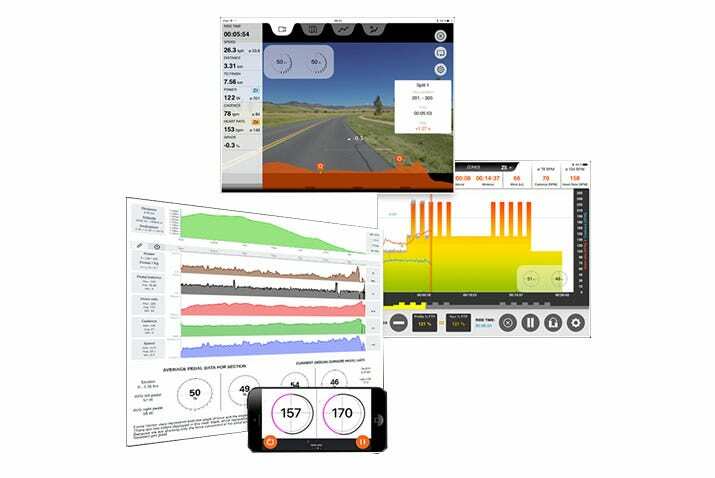 GET A FREE 30 DAY TRIAL OF ROUVY WHEN YOU PURCHASE A WAHOO SMART TRAINER. Register your Wahoo KICKR, KICKR CORE, or KICKR SNAP in the Wahoo Fitness app (iOS or Android) by entering your email address and serial number in order to receive your free 30 days of Rouvy. You will receive an email shortly after registration with your unique Rouvy promotion code and instructions on how to redeem your free 30 days. A subscription may be required later if you want to get access to the whole eligible content. Offer Terms and Conditions: Offer valid on any registered KICKR, KICKR CORE, or KICKR SNAP Smart Trainer, including certified reconditioned or bundle purchases. Offer is for a free 30-day trial of Rouvy on any compatible device. Offer only valid for new premium subscribers to Rouvy. Promotion code is valid for one-time use only. Offer may not be combined with any other coupons, discounts, or promotions. Offer is non-transferable. Offer not valid for prior purchases, special orders, or taxes. For questions concerning Rouvy, please visit support.rouvy.com.